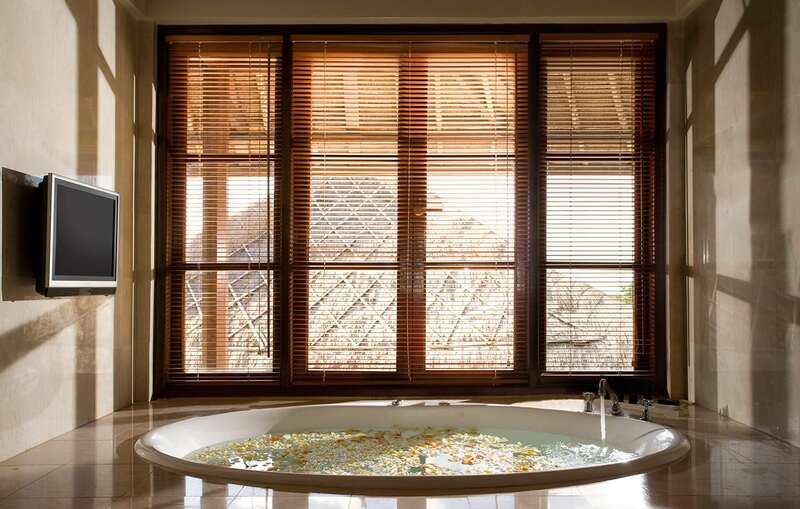 Private pool villas, gourmet dining, sumptuous spa treatments and a dedicated kids’ club are among the long list of luxuries and thoughtful extras that make this beautiful boutique resort so special and welcoming for everyone. Get ready to be charmed…. 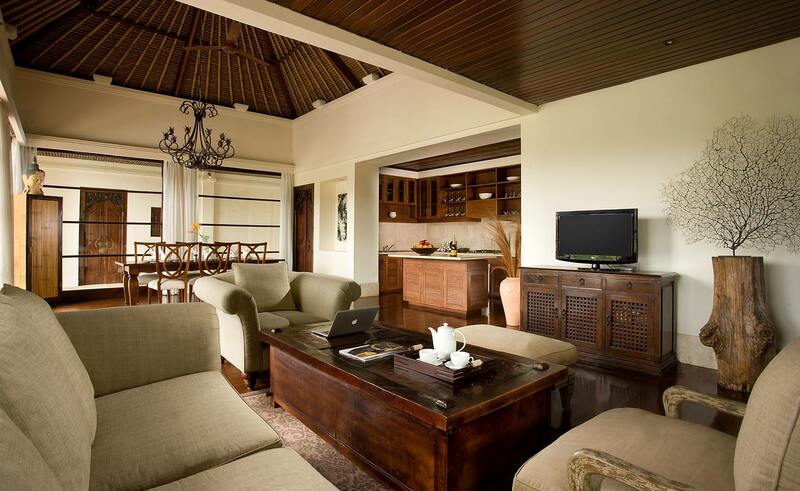 Enjoy exclusive benefits when you book directly with Karma Jimbaran. 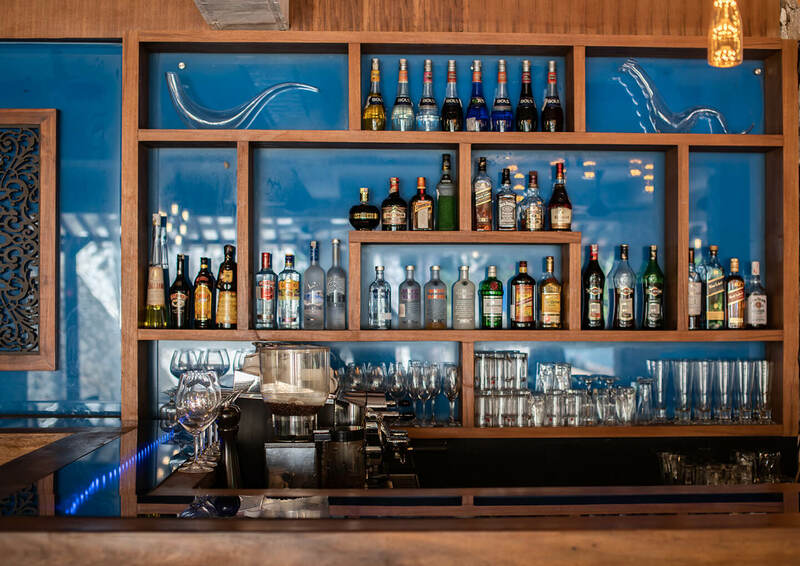 Stay for 3 nights and receive one of these benefits for 2 people, a 60 minute Karma Massage, a complimentary return airport transfer or a 2 course lunch in The Bay Bar & Grill. One of the 18,000 unique islands that make up Indonesia, beautiful Bali is a tropical paradise – and so much more. Coral reefs, volcanic mountains, rice terraces, spectacular temples and glorious sunsets vie for your attention – but Karma Jimbaran is still the perfect place to come for total relaxation. 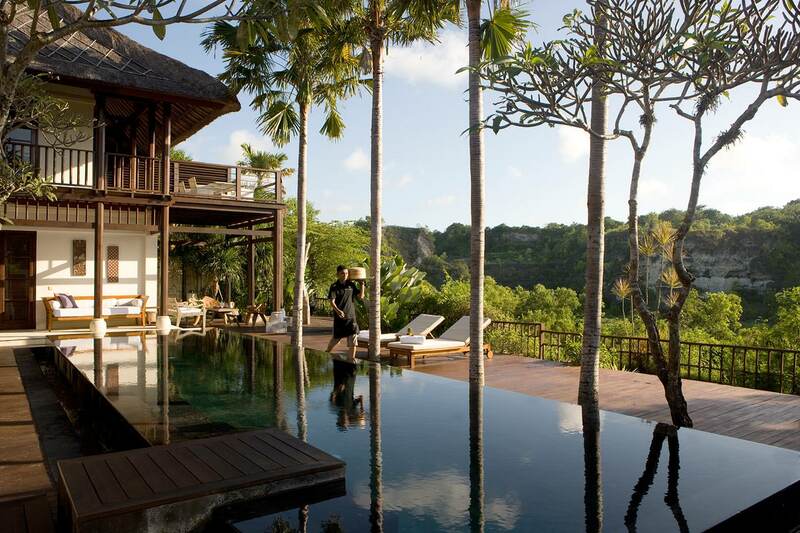 Perched on a gentle slope on Bali’s sought-after southern peninsula, the five-star boutique resort is just a minute’s stroll from the famous Jimbaran Bay with its glorious sands, mellow surf and celebrated seafood restaurants. 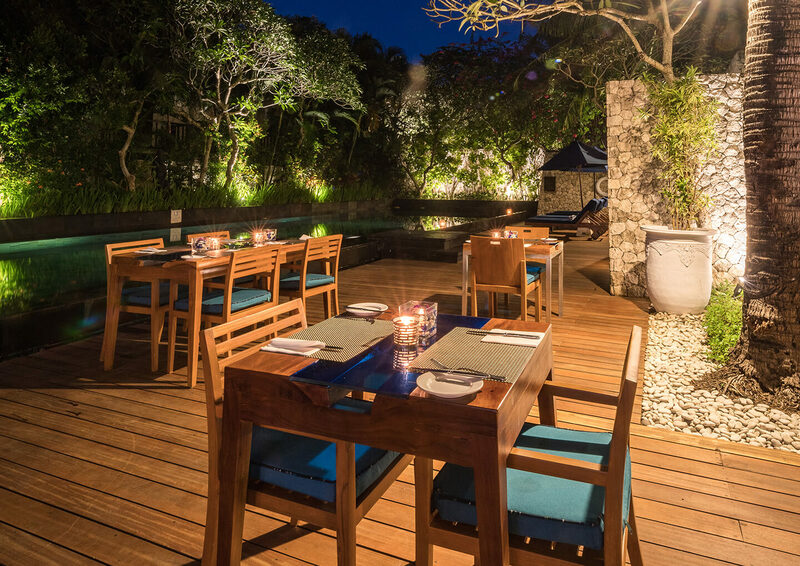 Karma Jimbaran is perfectly positioned mere footsteps from tranquil waters of the famous Jimbaran Bay, located just a 20 minute drive from Ngurah Rai International Airport. 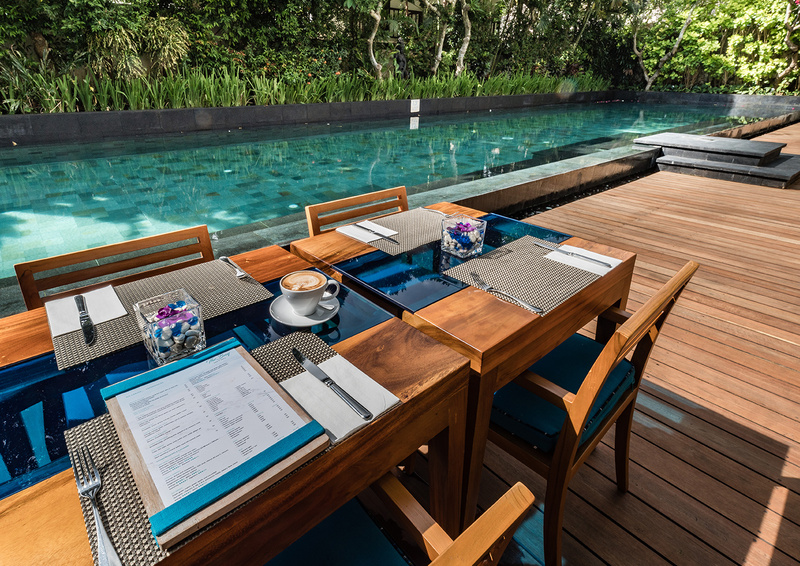 The resort district of Seminyak – and its fabulous boutiques and cosmopolitan bars is a short 30 minute drive away. Whether you're here on honeymoon or travelling with the entire family, Jimbaran has everything in place to create the soulful, spirit-lifting holiday you desire and deserve. Relax and rejuvenate with our exclusive spa treatments, sample the sumptuous wine-pairing menu at our newly opened destination bar or master new skills at a Balinese cookery class. There's no such thing as a bored or restless child at Jimbaran either – thanks to our wonderful kids' club, The Three Monkeys. A hot rock massage to ease you into the day; a manicure before dinner; a chakra blessing for you and your soulmate… Our expert team of healers and therapists are here to help you relax, rejuvenate and embrace the experience at Bali’s leading wellness retreat. Our spacious gym has all you need to stay in shape, Karma-style. Join a sunrise yoga class, work one-on-one with an expert personal trainer or simply stick to your regular workout with our top-of-the-range equipment. Little ones, aged 4 to 12, can enjoy the adventure of a lifetime with the warm, wonderful staff at our friendly kids’ club. A few sample activities? Learn to dance, Balinese-style. Try your luck in a sandcastle competition. Or spend the morning making a kite then fly it on the beach after lunch. Teens and grown-ups can join in the fun with our family excursions, too. 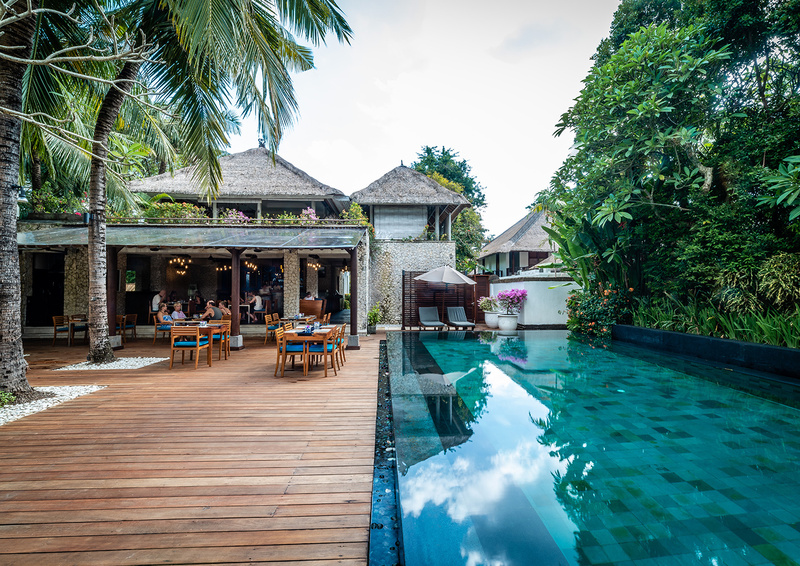 Whether you want to discover more about Balinese cuisine, sample the best local bars or take a trip to a temple, our concierge team are on hand to tailor-make your Karma experience. Tell us what you’d like to do in Bali – and we’ll make it happen. The Boutique at Karma Jimbaran is located at the entrance to the Resort and is no ordinary boutique. The Boutique has the feel of a gallery, creating a special arrival experience for guests by introducing a retail area replete with a curated selection of beautiful artifacts, works of art, local designer clothing and jewelry. 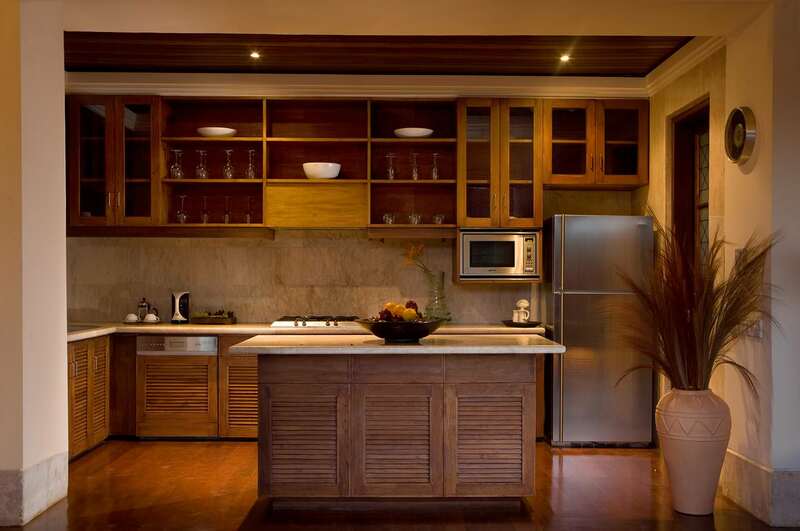 Your home throughout your stay at Jimbaran is in one of 40 luxurious villas, each designed in traditional Balinese style – set around your own private pool in a lush garden paradise. Inside, there's a state-of-the-art gourmet kitchen and spacious open-plan living area, with satellite TV, a DVD home theatre system and free wi-fi among the many contemporary features. All our comfortable bedrooms have en-suite bathrooms – so there'll be no early-morning queues! 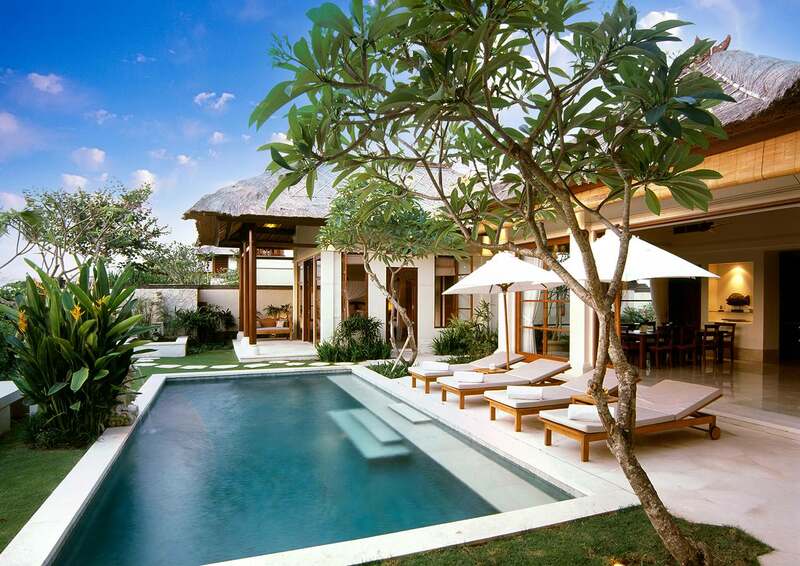 Lounge by your private pool or kick back indoors in your own little piece of paradise. 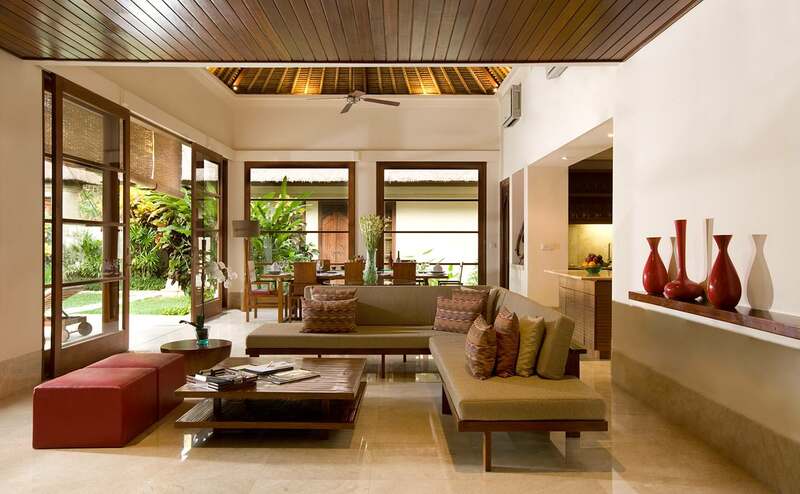 Embrace Bali’s laid-back villa lifestyle. 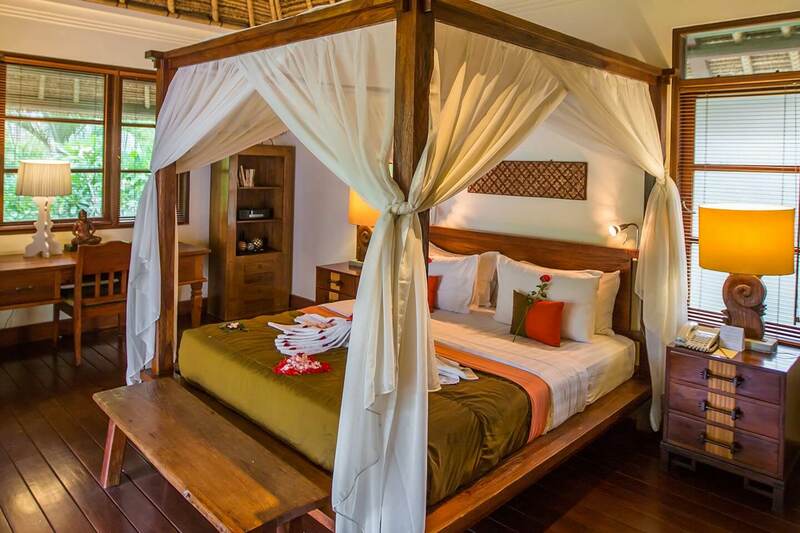 With spacious sleeping and living areas, this is perfect for families or groups of friends. 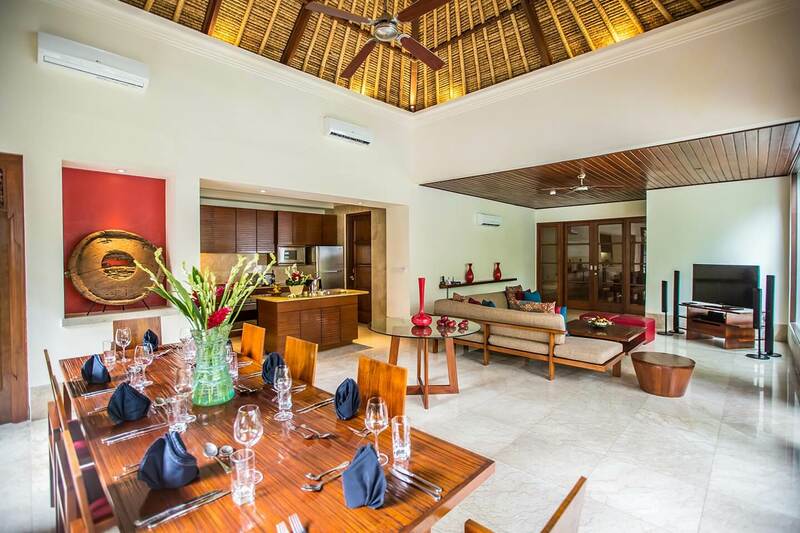 Get inspired by the breathtaking views and tropical setting of this luxurious villa that’s ideal for families or groups of friends. Our restaurant chefs take pride in creating an inspiring menu of Western comfort food and Asian dishes, using many locally sourced ingredients. 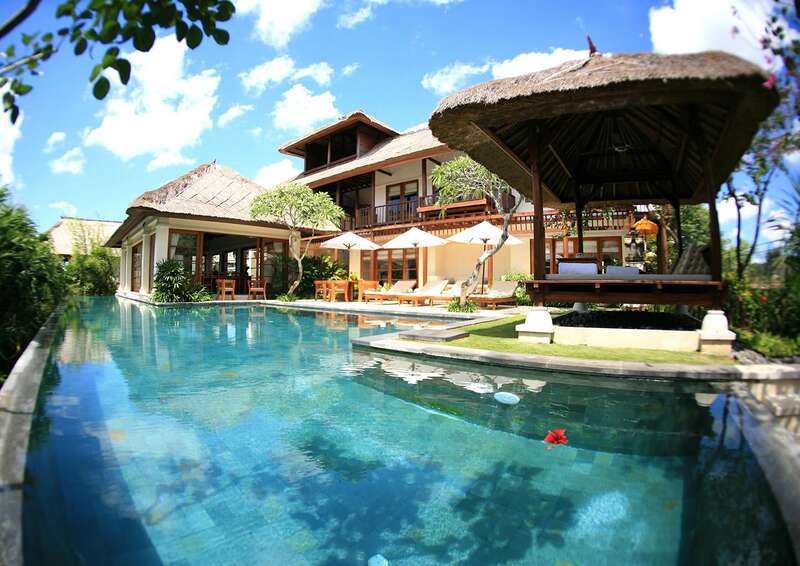 Looking for that hot deal to make your Bali holiday a reality. We are offering you the opportunity to book Karma Jimbaran, located only a few footsteps away from the fine white sands and calm waters of one of Bali’s most tranquil beaches, with 35% off our Best Available Rates. For the month of April we are offering you an amazing 35% off our spa treatments. Karma Wellness Hub is a sanctuary where you can slow down, breathe, and be at ease. Experience a once-in-a-lifetime traditional Balinese temple ceremony that honors love, gratitude and all things of the heart. 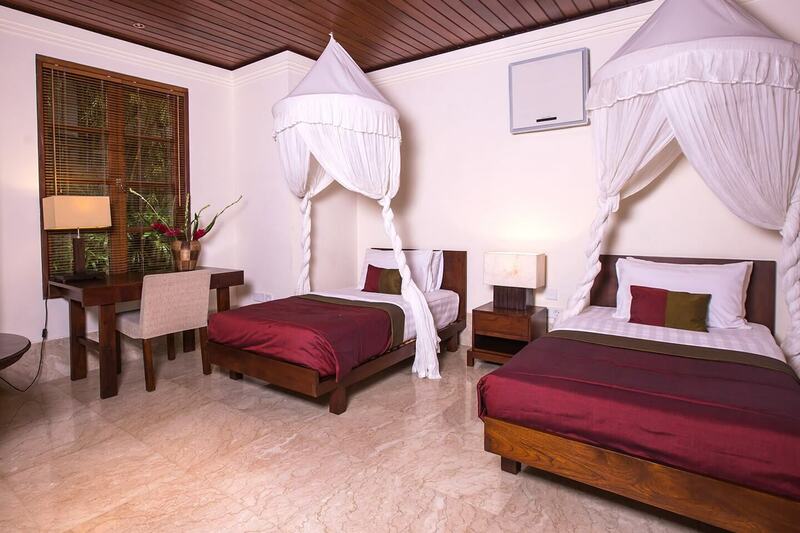 We wrap you in a traditional sarong where you are then escorted to the resort’s temple to receive a priest blessing with flowers and holy water to cleanse your being. ituated at our spa overlooking lush greenery, your romantic candle lit dinner includes a 90-minute deeply relaxing full body couples massage. 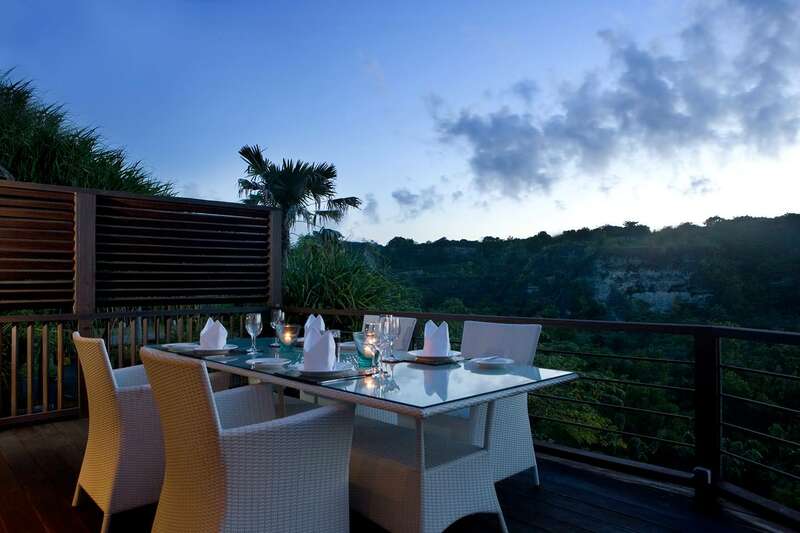 At sunset we set up your Spa & Dine - a union of natural beauty, spa and culinary excellence. Stay in tropical seclusion beachside at Karma Jimbaran and be just a short drive to New Kuta Golf for the perfect golfing break. Immerse yourself in Karma Jimbaran’s Easter Extravaganza, a fun-filled journey for the entire family. Share in the traditions, indulge in the cuisine, release your inner child and let Karma bring your Easter Holidays dreams to life in our tropical playground. 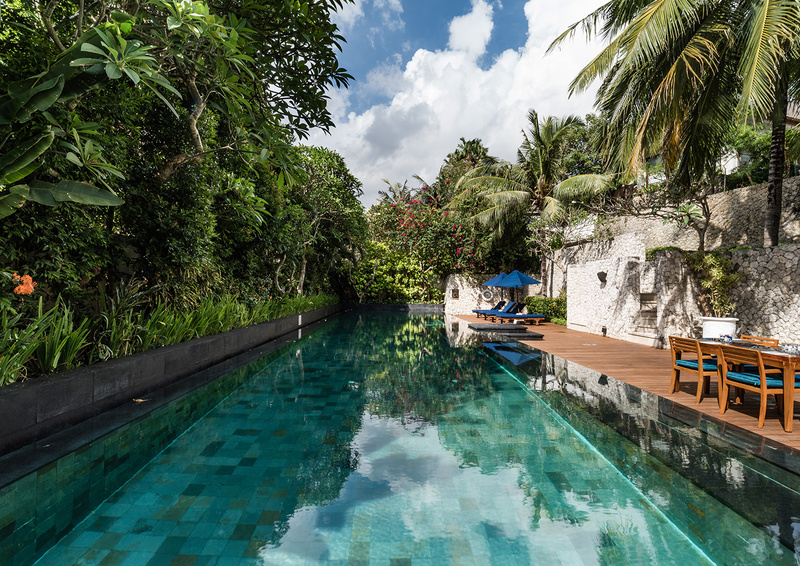 Set within lush tropical gardens and only a few footsteps away from the fine white sands and calm waters of one of Bali’s most tranquil beaches.